A confession. What we’re going to explain in this article isn’t a new wonder pill. In fact, it’s a solution that you’ve already heard of and probably even made some effort to implement. If you’re like many of the organisations that we have spoken with recently about “going lean”, you are likely to tell us confidently that you’ve already “done lean”. We have found that this conversation has become the staple diet of interactions between lean practitioners and those who want to become excellent. The problem with lean is that it’s an overused and misunderstood term. Many people think of lean as a toolkit, or at best a philosophy that only works in certain industries. Heck, we’ve said it ourselves. The reality, however, is very different. Every business has its unique difficulties with going lean, but the principles and underlying philosophy of the Toyota Production System (TPS) have now been proven in almost every industry you can imagine. The challenge for leaders however is this: truly “going lean” is painful, it’s dangerous to your business if you don’t know what you’re doing and it takes strong leadership to see it through. In assessing a “done lean” factory for the first time, we often find that quality issues & rework are an accepted feature of the process, costs are creeping up, many shipments are being missed and that lead times are extending rather than shortening. In summary: the pursuit of perfection embodied in TPS has not yet been fully achieved. Rather than seeing early failure in adopting lean as a common phenomenon, many leaders will conclude that it “just doesn’t work for us”. Many organisations start their implementation of lean by developing their front line teams in lean tools. Whilst this will be important, without the backing and understanding of their leaders this investment in skills development will fall well short of its intended benefits. Teams will try and implement the powerful tools they have learned only to hit a brick wall in the form of an organisation that hasn’t yet been prepared for the difficult journey ahead. Businesses that succeed in deploying lean thinking start with their leaders. They develop a powerful coalition behind the change and clear principles to support the day-to-day decision making across the organisation. Toyota talk about the importance of defining “True North”. Rather than a goal, this is a visualisation of perfection that everyone in the organisation can continually strive towards. The second error, which is linked to the first, is a failure to view waste from the perspective of the total value steam. That is the end-to-end order fulfilment process, from creation of customer demand through to receiving cash for the products that you have delivered. Instead, teams tend to focus only on the waste in their particular area. Typically, this localised thinking does not eliminate waste, it merely converts it from one form to another. For example, in pursuing large campaign or batch sizes to reduce changeovers, the waste of lost capacity is replaced by the waste of excess inventory (and the even greater risk of product obsolescence). In this case, a process stage can be 100% utilised producing product that the customer doesn’t want (and that we may one day have to dispose of). The key to shorter lead times, lower operating costs and greater throughput is to achieve what lean practitioners call “flow”. Flow is achieved when products move uninterrupted through your process from suppliers to customers without the delay of waiting to be processed. “Flow” minimises work in progress inventory, creates the urgency and tension necessary to permanently resolve problems and delights customers with shorter lead times and better service. When executed properly, “Flow” offers speed, quality, low cost and greater cash flow. Enabling your process to “Flow” requires the cycle time of each work area to be synchronised with the “takt” (or beat) at which the customer requires it. It also requires a stable cycle time which can only be achieved via a significant reduction in all forms of process variation. Reducing variation is, of course, the principle goal of “Six Sigma”. For this reason training and consulting firms were quick to combine these terms into the highly marketable concept of “Lean Six Sigma”. Whilst we’re not against the concept per say, the reality is that reducing variation was always a key principle of lean. Typically addressing these 4 sources of variation is a key foundation for a successful lean transformation. The sequence and priority for addressing them will be determined by an analysis of the current state value stream. The key tool to help your leaders visualise this variation and waste in the order fulfilment process is Value Stream Mapping (VSM). Using VSM to analyse your current state value stream will tell you where the major wastes and disconnects are in your process. This provides a platform for you to articulate a compelling future state vision and roadmap to align your team towards the journey ahead. When you eliminate variation you develop stable processes. 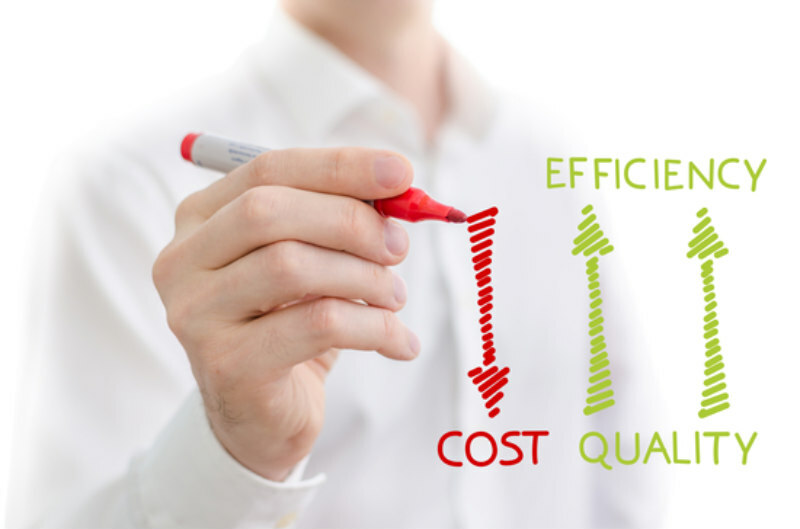 Stable processes improve quality and allow for optimal scheduling so that products can flow efficiently through the total value stream. Products that flow quickly through the value stream get delivered to the customer quicker. Higher quality products, delivered to your customers quicker and at a lower cost, allows you to win more business and grow. The case for lean is clear. Hopefully we have convinced you that going lean is complex, sometimes painful, but potentially extremely rewarding. It often requires counter intuitive actions that will not succeed unless the whole organisation is behind the what, why and how of the change. It requires really strong leaders who will stubbornly pursue an agenda that throws up new barriers to progress each day. It will also require an expert to help your leaders articulate the vision of “True North” whilst creating a transformational improvement roadmap that considers the total value stream and not just the improvement required in individual work areas. Nobody is saying that success with lean is easy. But the benefits of higher quality, better service, lower costs, higher cash flow and shorter lead times are surely too great to ignore. If you are like the majority of manufacturing organisations who believe they have already “done lean”, the chances are that there is a world of untapped potential waiting for you. At the heart of Lean Thinking is a passion for leading with humility which recognises that an organisation can always be better. When we do this, we see that continous improvement is just that, continuous. The notion then that we’ve “done lean” is completely counter to one of its key principles. When we lead with humility we are open to what the Japanese call Hansei, or deep reflection. When this deep reflection is targeted around a visual representation of the current state, which is what a value stream map provides, leaders will see an array of new possibilities for improvement. This recognition will allow the vision of True North to be reset, providing an exciting new challenge for leaders and teams to capture this previously untapped value.